Made with 2 1/2" steel tube with drop down tube steps provided for all truck cab doors. 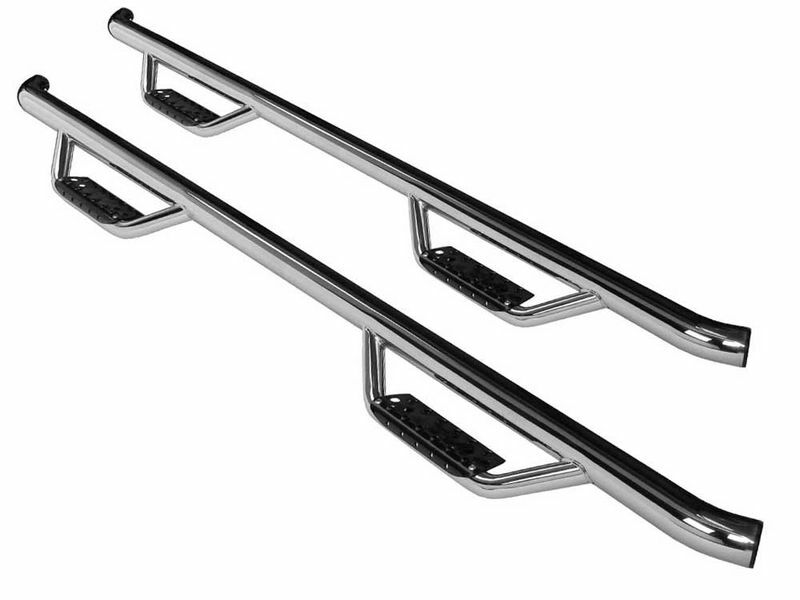 The Go Rhino Dominator D2 Polished Stainless Nerf Bars include all necessary mounting brackets and hardware. The Go Rhino Dominator D2 Polished Stainless Nerf Bars are constructed of 304 Stainless Steel to provide excellent corrosion resistance with a distinct look as well. The 2.5-inch main bar mounts close to the vehicle while the drop steps provide up to a 5-inch reduction in step-up distance. The D2 Nerf Bars mount to the truck pinch welds with the included brackets and hardware. No drilling is required on most applications. To top it off, these bars come with a limited lifetime warranty.